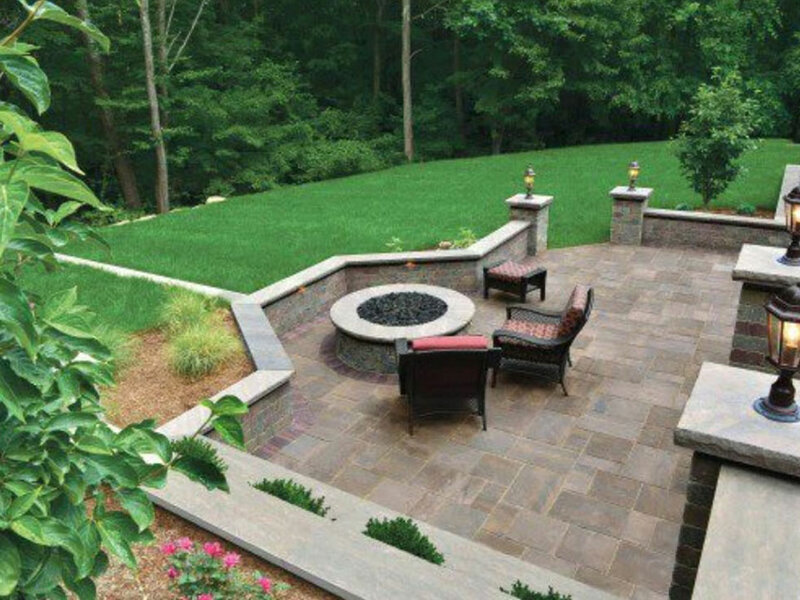 Our masonry services include repairs and installations of steps, walkways and patios. 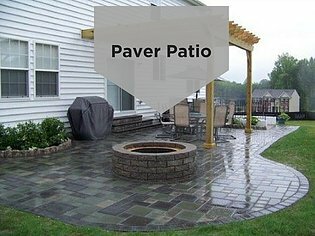 We only use natural materials (stone, pavers, brick etc.) that are very durable. We are available to consult with you on your project and make recommendations based on your home’s style and budget. 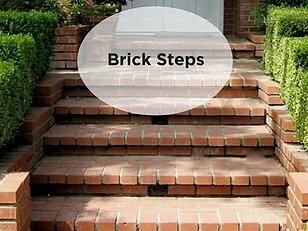 The front steps of a home take a a lot of wear and tear due to traffic and varied weather conditions. They must be installed properly to avoid cracking and splitting. 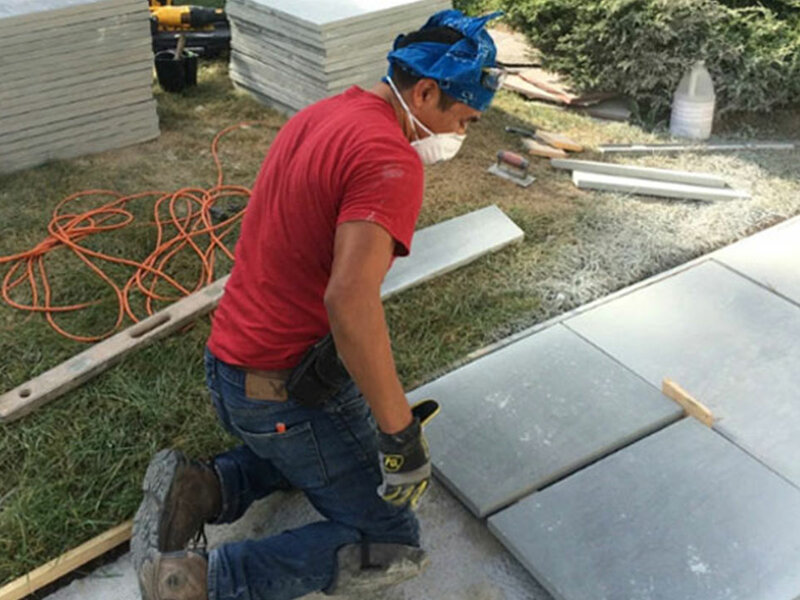 Using a fine mason contractor – instead of a landscaper is your best bet for them to wear well over time. We can design them so they fit in seamlessly with the rest of the house. 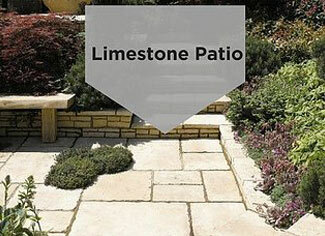 We typically use Limestone, Bluestone or Brick. They all wear well and look great. 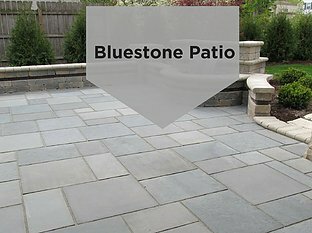 Bluestone is the most expensive because it is a very polished finish. 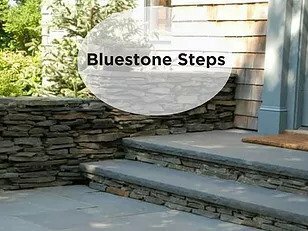 The Bluestone remains blue, whereas Limestone is much lighter. 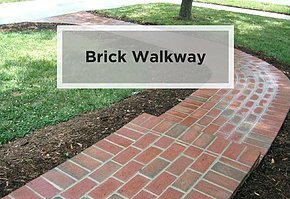 In most cases, if the steps are worn, the walkway is also in need of repair since they were most likely installed at the same time. 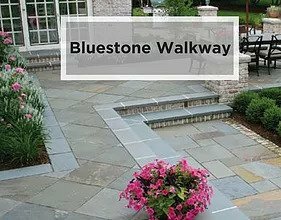 The steps and walkway should blend, in order to create a smart design. 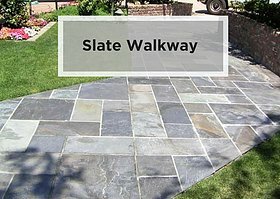 Together, the stairs and walkway have a big impact on the curb appeal of your home. 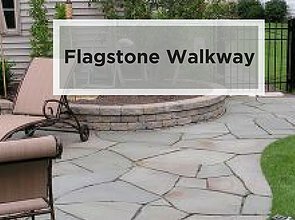 We use Bluestone, Brick, Slate and Flagstone for walkways. 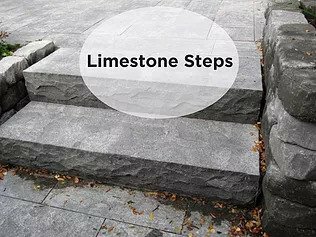 The material we use for each project depends on the overall look and feel the homeowner wants and also the material used on the steps. We can combine materials to create a more visually interesting design as well. 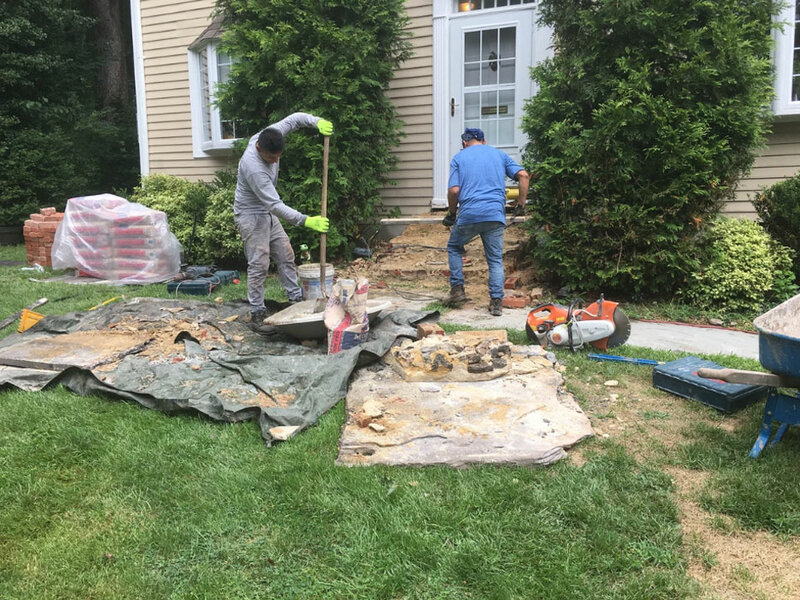 Weather you are in the market to restore or replace your steps, walkway and / or patio, Michael J Harris is here to work with you on a design that best meets your style and budget with unmatched craftsmanship. This type of home improvement will add tremendous curb appeal and value to your home.